Introducing everyone’s favorite gift box, the gable boxes, with it’s amazing functionality, durability, and overall elegance it’s no wonder that many people simply adore this neat style of packaging. 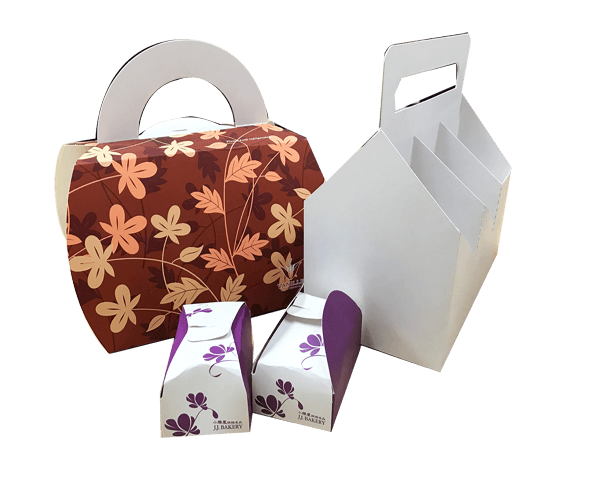 While commonly seen as gift packages or takeout boxes, gable boxes are a stylish way of packaging products of all kinds, and with Business Image Printing you can design and create unique custom printed gable boxes for your own products! With Business Image Printing there’s no need to limit yourself to traditional gable box styles as our team is well-equipped to help you create any fun and creative designs to include with your custom printed packaging such as special matte coating or foiling to make your product stand out that much more. Print any designs you’d like as we feature state-of-the-art technology built to handle any design you have in mind, all you have to do is let us know any unique or creative designs you have in mind and we can get those designs seamlessly onto your custom packaging. With all these tools at your disposal you can be confident that your custom printed gable box is in good hands. For custom printed packaging at affordable prices and fast turnarounds, Business Image Printing is the way to go. For more information regarding any special additional features such as spot UV coating, hot stamp foiling, or embossing, feel free to contact us for more details.